CAT CORNER > Behavior & Health > Wet or Dry Food? Will your cat thrive best on wet food, dry food, or a combination of both? While there aren’t two dueling teams — one for dry food and one for wet food — the topic is heavily debated. The best answer is always to speak with your veterinarian to see what’s best for your cat. Similar to humans, a cat’s food choices are going to be different based on what works for their body and what their body needs. Let’s explore the pros and cons of both a dry and wet food diet. Exploring a dry food diet. Some cat owners will rely on a strictly dry food diet because dry food is cheaper, easier to preserve, and easy to leave out for the day, so your cat can feed herself whenever she gets hungry. Though there’s been some debate, many also believe that certain dry foods can help a cat’s teeth and dental hygiene. 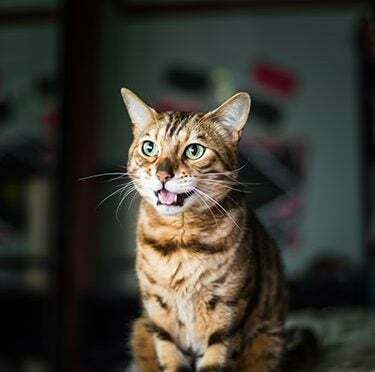 Still, dry food is not a substitute for oral hygiene, and it’s important to make sure that you’re not using dry food as a substitute for dental care (read this article for more on how to treat your cat’s teeth right). One of the main concerns about dry food is that it doesn’t contain moisture or high water content, and cats tend to not drink as much water as they should (another instance of Cats! They’re just like us!). H2O keeps your cat hydrated and can benefit cats with kidney problems or lower urinary tract disease. However, if you have a perfectly healthy cat who mainly eats dry food, you can also be sure that your cat is drinking a lot of water by investing in a fun cat water fountain, or making sure their water bowl is always filled and fresh. Exploring a wet food diet. As mentioned above, it’s important to consider incorporating wet food if your cat has kidney problems, doesn’t drink a lot of water, or is a picky eater. Many cats seem to find wet food more palatable. 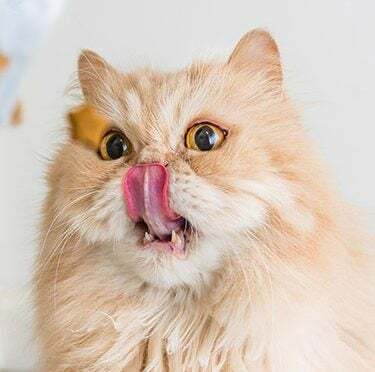 Also, wet food benefits cats with kidney or urinary tract infection issues since wet food is about 75 percent water, whereas dry food is only about 10 percent water. Though some studies show that canned wet food helps cats develop strong muscles, it’s important to note that there isn’t enough research to confidently state that a canned diet can prevent these symptoms. However, some veterinarians do warn that insufficient moisture in the diet may increase the risk of crystals or stones in a cat’s urinary tract. Exploring a happy medium of wet and dry food. Many cat owners have decided to incorporate the best of both worlds and use mainly dry food with about a half can of wet food daily. That way, your cat can enjoy the benefits of both foods and have some variety in her diet. It’s always best to see how your cat reacts and what they seem to be enjoying. Take your cues from your furry friend and trust that she knows what’s best for her body when you lay all of the options out in front of her. 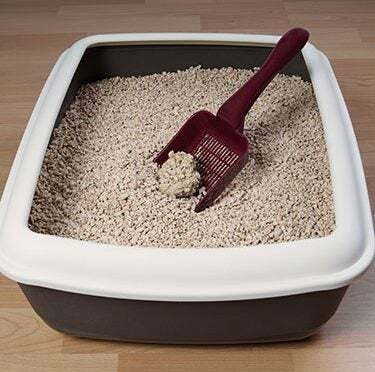 Want separate wet and dry food dishes? Join the Paw Points® Reward Program, and earn enough points to score rewards like a FREE Double Diner, a multi-purpose dish that can be used for wet or dry food, or to separate your cat’s food from her water. Plus, the stainless steel inserts are easy to remove and clean, and are dishwasher-safe. Check out the Paw Points® catalog to find other rewards that will nourish your cat and make sure they’re well-fed and hydrated.